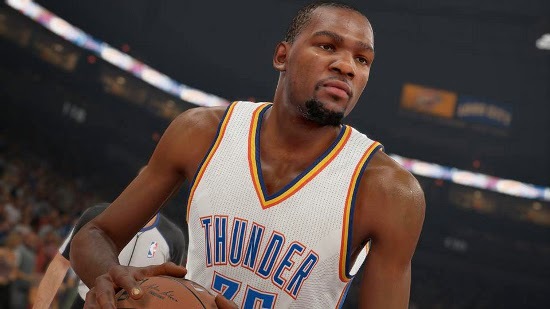 The top 10 highest rated players in NBA 2K15 have been revealed by 2K Sports. There aren’t really any shockers on the list but it is good to finally know how these superstars will be rated. Only one of the four players to be rated 90+ wasn’t confirmed until now and as expected it’s Chris Paul who comes in at 91 overall. He joins LeBron James (98), Kevin Durant (95), and Tim Duncan (90) in that elite group. Six players follow at 89 overall, namely Carmelo Anthony, Kobe Bryant, Kevin Love, Paul George, Blake Griffin and Stephen Curry. Although each player will receive an initial rating when the game launches, NBA 2K15 features dynamic ratings through roster updates, so the player’s performance in the real world results in changes to their in-game ratings. NBA 2K15 is set to launch on October 7, 2014, and will be available on PC, PS3, PS4, Xbox 360 and Xbox One.